It is with great honor and pride to announce that CrossFit Dumbo is officially affiliated! I would like to thank everyone who has been gracious enough to put their time, and unwavering faith in what we do in our 600sqft space. And also I can't forget those who have been there from day 1 to lend sound advice and an ear for me to vent and to just let me know that everything's gonna be alright I thank you. As we move ahead there will be changes, these changes are to better everyone's experience at CrossFit Dumbo. Emails will be sent out with this information.So thank you all from the bottom of my heart love you all. So now i finally get to say it,tell Your Friends your family anyone you know who is looking for Elite Fitness... JOIN THE HERD!... 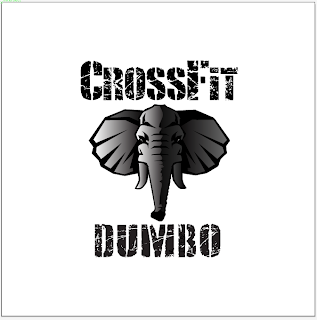 CrossFit Dumbo! Post load of each rep to comments.